We previously announced that Ralph Breaks VR would be coming to Disney Springs at Walt Disney World. This new experience is a hyper-reality experience by ILMxLAB and The VOID which is based on the upcoming Disney film “Ralph Breaks the Internet,” debuting this November. We are so excited to learn that guests can start purchasing tickets for this amazing experience. The attraction is set to open on November 21st, 2018 where guests will be in a multi-sensory Disney adventure and immersed in the film. Guests will work in teams of 4 to break into the internet with Wreck-It Ralph and Vanellope von Schweetz to play a cool video game. Ralph Breaks VR will introduce two new locations, Dunderdome and Pancake Milkshake Diner, in addition to a new antagonist named B.E.V. (which stands for “Built to Eradicate Viruses”). Guests must be at least 48″ tall and 10 years old in order to experience Ralph Breaks VR. The experience will be at Disney Springs in Walt Disney World and the Downtown Disney District at Disneyland Resort. 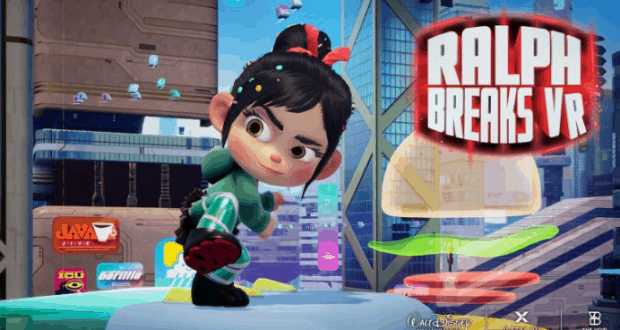 Who can’t wait to check out Ralph Breaks VR?